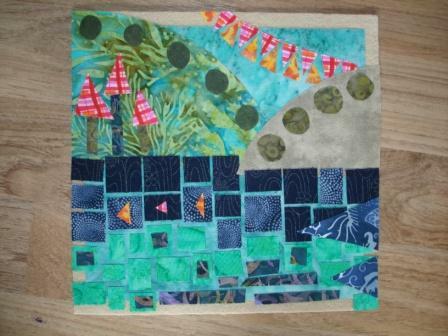 I love the round robin row.I like how you did the applique over the pieced blocks. I like the look of your rebel quilt - what felt did you end up using as the base? That's one technique I could see repeated and repeated!! Wish I had known about Dylan. I would have volunteered for that trip...I SOOO love dinosaurs! Love the new work!